Minium and purple, these two colors belong together on the foliage, one on the right and the other side left; and you shall first draw the foliage with a lead, then retrace it with a pen, and then paint in the minium or the purple color, one side minium or purple and the underside purple or minium, as you like, as it is shown here. 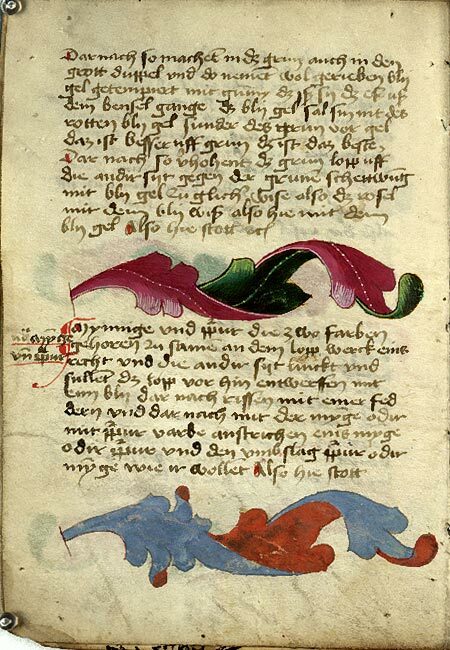 previous fol. | next fol.